Benefits statements help educate employees about their total compensation packages. Estimates show that benefits, such as health insurance, paid time off, pension plans and disability insurance, make up approximately 30 percent to 40 percent of an employee’s total compensation package. 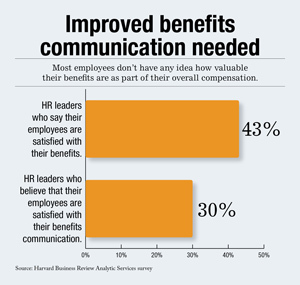 However, according to the Society for Human Resource Management, employees have little, if any, understanding as to the value of their benefits as part of overall compensation.